Galloway -- Motorists in New Jersey and throughout the nation are asked to join a day-long effort on October 10, 2017, designed to increase awareness about safe driving behaviors and keep the State’s roadways fatality free for one-day. Known as Put the Brakes on Fatalities Day, the national initiative was designed to unite the country in moving toward zero fatalities for one full day by encouraging motorists to obey all traffic laws, including buckling up, every ride; driving the posted speed limit; avoiding distractions while driving; and always being safe and sober behind the wheel. Our goal is to experience a day when all roadway users are extra vigilant and there are no fatalities on our roadways. 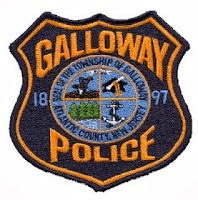 To support this effort, the Galloway Township Police Department will increase patrols to target aggressive driving and deploy officers to disperse educational materials to motorists about safe driving. Last year in New Jersey, 603 individuals lost their lives in motor vehicle-related crashes, up from 562 in 2015. Distracted driving fatalities have increased at an alarming rate over the last 4 years. In 2013 there were 58 fatalities on the State’s roadways in which distracted driving was a major contributing factor. That number ballooned to 115 fatalities in 2016, or 19% of all traffic deaths. To help battle this growing problem, the State’s #77 alert system is now used to report all forms of dangerous driving, from those operating a vehicle while looking at a cell phone to those driving while impaired. Statewide law enforcement agencies will be utilizing their variable message boards and conducting educational activities to raise public awareness regarding this issue during the week of October 3rd ending with “Brakes on Fatalities Day on October 10th. “Put the Brakes on Fatalities Day not only raises awareness about the individual responsibility we have for our driving behaviors, but also engages drivers in making positive changes behind-the-wheel every day of the year,” Barber added. Additional information on the “Put the Brakes on Fatalities Day” is available by logging on to www.brakesonfatalities.org .